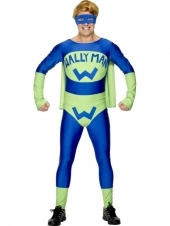 This Wallyman costume is perfect for Stag Nights, and many other occasions. 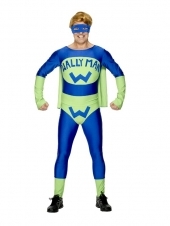 The green and blue jumpsuit has an attached cape, and can be worn with or without the green "W" underpants. The green eyemask is also included.